We previously shared the ‘story of the 6 wives’, but if you still have some reservations about moving your payments away from banks to a service provider focused solely on the maritime financial services industry, we list below 8 reasons to use our maritime management services. We speak the same language. 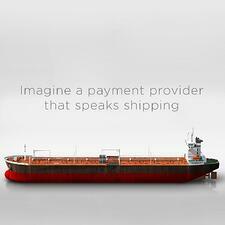 The language of shipping is not alien to us. As part of The Marcura group, MarTrust benefits from years of experience of our staff, many of whom previously worked as seafarers themselves. This embedded experience and expertise means that we really understand the challenges you face when you are making international crew payments. We have an intuitive, user-friendly system. Time is precious. Our maritime management services provides a simple pre-screening process of beneficiary information and payment file upload. The ease of using the system makes information less susceptible to errors and saves you the time and headache of sorting the details out down the line. We disclose the FX rates prior to execution and there are no hidden fees. Transparency is key. Rather than guessing the exchange rate or getting surprises after the fact, you’ll know the exchange rate before committing to the transaction for your international crew payments. For more information on how this works, you can read our ‘no surprises’ blog. We are intimately familiar with international crew payments. Efficiency is crucial. If payment is received when at sea, your crew (and their families) may have no access to withdraw funds. With most currencies, payment is delivered within four days and on the same day for USD, Euro and GBP. If you need funds to arrive by a particular date, we will assist you with the specific delivery information for the country you require. We provide payment notification to beneficiaries automatically. Certainty is important. There is nothing worse than not knowing if you have been paid or not. That’s why we notify the beneficiary once international crew payment is received as we appreciate the importance of your crew being safe in the knowledge that they have indeed been paid for work rendered. We treat every remittance as a priority, regardless of the payment amount. Consistency is vital. Whether your remittance is large or small, our priority is always to deliver a successful transaction so you can be assured that you are receiving a consistent service. We provide dedicated customer support year-round and round-the-clock. Support is essential. Irrespective of the nature of your query, we have specialists that are on hand 24/7. No need to worry about business hours or time zones. We have a 99.9% success rate for all types of payment transfers. Confidence is paramount. Our research indicates that our exceptional success rate for maritime payment transfers compares very favorably against the 94% success rate of other institutions. Since the payment success rate has a direct impact on the morale of your crew, you should not settle for mediocre service. To find out more about the benefits of using our maritime management services, download our service overview.